The Trump administration is pressing for tough new sanctions against North Korea, warning that Pyongyang is “begging for war.” The White House is also weighing a halt to trading with countries that do business with North Korea, even if that is impossible to stop. And South Korean officials worry that their belligerent neighbor may be preparing another missile test. Global markets haven’t retreated on the latest Korea news. (The FTSE 100 index in London was up slightly this morning, for instance.) But DealBook’s Andrew Ross Sorkin spoke with some of the world’s biggest investors over the Labor Day weekend, and they said they were remarkably worried. • One group will try to trade around the uncertainty in North Korea. They plan to pare back risk in some areas and make other trades that revolve around the ongoing standoff between North Korea and much of the world. • The other group says there’s no way to assess the risk, and that what’s happening now is all “noise” until there’s a resolution. One prominent investor said he believed the situation will be resolved — one way or another — by Christmas. The culture of “radical transparency” at Bridgewater, the giant hedge fund, is an object of fascination in the corporate world. Its progenitor, Ray Dalio, has likened the company to a nudist camp. Some former employees say the approach is humiliating. Now Mr. Dalio, who is also Bridgewater’s founder, will expound at length on the philosophy in a book, “Principles: Life & Work,” that’s already the buzz of Wall Street. Worth noting: Proceeds from the book will be donated to Grameen America, a micro-lender focused on female entrepreneurs living in poverty in the United States. The Daily News is a New York institution, known for its coverage of gossip, sports and the city — and for being a voice for the working class. Now, after years of being shopped around, the newspaper is finally being sold, to tronc, the publisher of The Los Angeles Times and The Chicago Tribune, for just $1 and the assumption of liabilities, according to The Tribune. • It reveals the waning influence of Mortimer B. Zuckerman, the real estate magnate who bought the Daily News in 1993 for $36 million. He has now essentially given away the paper. • The most interesting facet financially may be across the Hudson River. Tronc will buy 49.9 percent of the 25-acre parcel of New Jersey real estate on which sits the Daily News’s printing plant. The news release notes that the land “overlooks the Manhattan skyline,” suggesting that tronc may look to eventually develop the property in another way. The landmark Tribune Tower in downtown Chicago was sold last year for a mixed-use redevelopment. • Buying the Daily News gives tronc’s chief executive, Michael W. Ferro Jr., something he has always wanted. The publisher now has a presence in the country’s three biggest media markets: New York, Los Angeles and Chicago. President Trump has been caught between opposing camps prodding him to either salvage or scrap Deferred Action for Childhood Arrivals, an Obama-era program allowing undocumented immigrants brought to the country as minors to remain in the United States. Congressional Republicans are expecting a stopgap solution to be announced on Tuesday by Attorney General Jeff Sessions, rather than by the president. It would involve delaying for six months the decision about the final fate of the so-called Dreamers covered by President Barack Obama’s executive action. Immigration advocates and economists have warned that the demise of DACA could lead to the deportation of as many as 800,000 people — many working legally in industries across the United States. And American business leaders have been vocal with their concerns and the risk of losing their workers. • Last week, hundreds signed a letter warning that the immigrants are vital to the economy. According to Mark Zandi, chief economist at Moody’s Analytics, the gross domestic product of the United States would be $105 billion less five years after a repeal of DACA than it would be with the program in place. The Finnish developer behind the blockbuster game franchise, Rovio Entertainment, said on Tuesday that it planned to hold an initial public offering in its hometown, Helsinki. • Rovio’s main shareholder, Trema International Holdings, and other investors will sell some of their shares. • Rovio will also sell about $36 million worth of new shares. The big question: Can Rovio prosper as a public company, even after other once-hot developers struggled when their signature hits grew old? A prime example is King Digital Entertainment, the maker of “Candy Crush,” which sold itself to Activision Blizzard at a discount to its I.P.O. price. At $30 billion, including debt, it’s one of the largest aerospace deals ever agreed. If completed, it would bring the Otis escalator and elevator brand, Pratt & Whitney aircraft engines and avionics for the F-35 fighter jet all under the same roof. United Technologies will pay $140 a share in cash and stock, an 18 percent premium above Rockwell’s stock price before news reports of the deal emerged. And as previously noted, the transaction may not have to face antitrust hurdles, because there is little overlap in what the companies produce. Lilium Aviation held a successful test flight of the Eagle, its two-seat electric jet, at its Munich base this spring. Now the German company has raised $90 million in a new round of financing on the back of swelling interest in flying cars. Investors included Tencent Holdings, the Chinese internet giant; LGT, the investment vehicle of Lichtenstein’s royal family; Atomico, the venture firm run by Niklas Zennstrom, Skype’s founder; and Obvious Ventures, the investment firm co-founded by Evan Williams, who helped to start Twitter. Earlier, North Korea said it was considering launching four missiles on the island of Guam, where the US military base is located. As reported, on August 26, North Korea launched three small-range ballistic missiles. Recall that on August 5, the UN Security Council unanimously adopted a resolution toughen sanctions against North Korea. 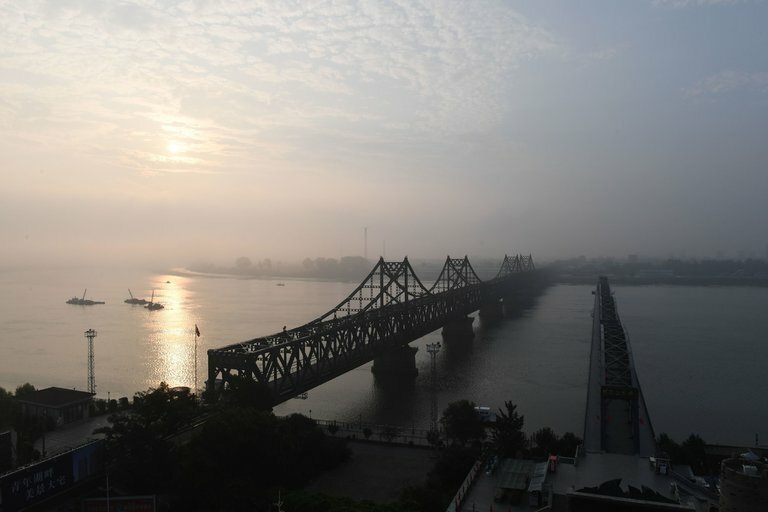 The new sanctions effectively deprive Pyongyang of one third of annual export revenue, which is $ 3 billion a year.